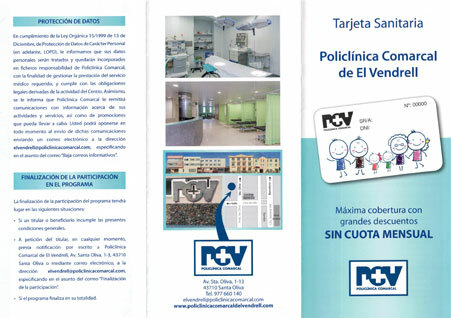 Policlínica Comarcal del Vendrell loyalty card has been created to encourage individuals and groups of people, so they can receive health care in Policlínica Comarcal del Vendrell with special rates. In addition, patients will receive a more personalized service and will be kept informed of all benefits of the portfolio of services that may be of interest. Without having to pay any monthly fee, with this card you will enjoy special rates established. • You will have to pay the cost of issuance of each card (5 euros) and the first use of the card implies acceptance of the general conditions. 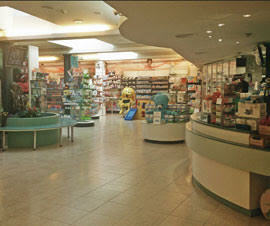 In case of loss, damage or theft of the card, it will have an extra charge of 25 euros. • Minors must come accompanied by one of the parents or legal tutol, who must also be identified. 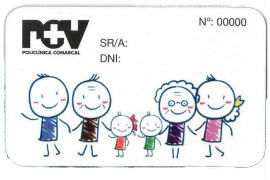 • Any modification of the personal data of this contract shall be notified to Policlínica Comarcal for update.